This event has now been fully confirmed, and will definitely be going ahead. Please note the change of venue, to St. Swithin’s Church on the Paragon. 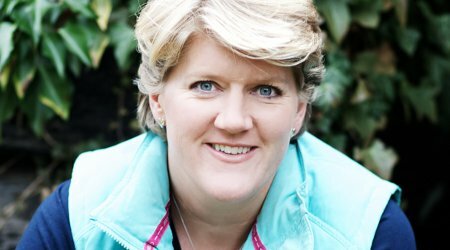 One of our greatest presenters, and broadcasters, she has been at the heart of our sports coverage (most memorably the BBC coverage of the 2012 Olympics) for many years. Her love of sport in general, but particularly her enthusiasm for horse racing and the great outdoors, has endeared her to the country. In her Radio 4 show, Rambling, Clare combined her joy in nature and her inimitable skill as an interviewer, talking hundreds of walks with well known figures and using the intimacy of a shared ramble to give a unique insight into their lives and interests. In her new book, Walking Home, Clare discusses her own love affair with walking in the English countryside and the way she discovered Britain in all of its mud and glory. 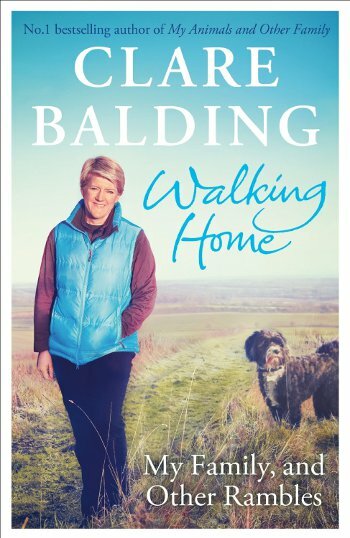 This is the story of walks from the South Downs to Milngavie, and the people she has met along the way. This will be a delightful evening with one of our loveliest national figures. Come along to hear Clare talk about walking, interviewing, and life at the forefront of British television.